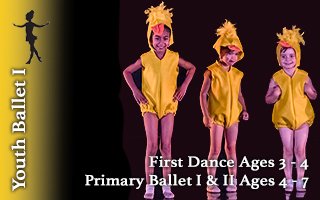 Discover the fundamental building blocks of dance in a pre-professional setting! One year of previous dance experience recommended. Ability will be assessed by A. Bayne. Dancers aged 6+ will learn proper use of the ballet barre while developing an awareness of body alignment, weight placement and musicality. One year of dance experience recommended. Explore the beauty and passion of Vaganova ballet technique in a pre-professional setting! Three years of dance experience recommended. Ability will be assessed by A. Bayne. Dancers aged 12+ will explore the importance of precision, agility and fluidity of movement. Students will develop poise, flexibility, strength and discipline in addition to a strong sense of self-confidence. 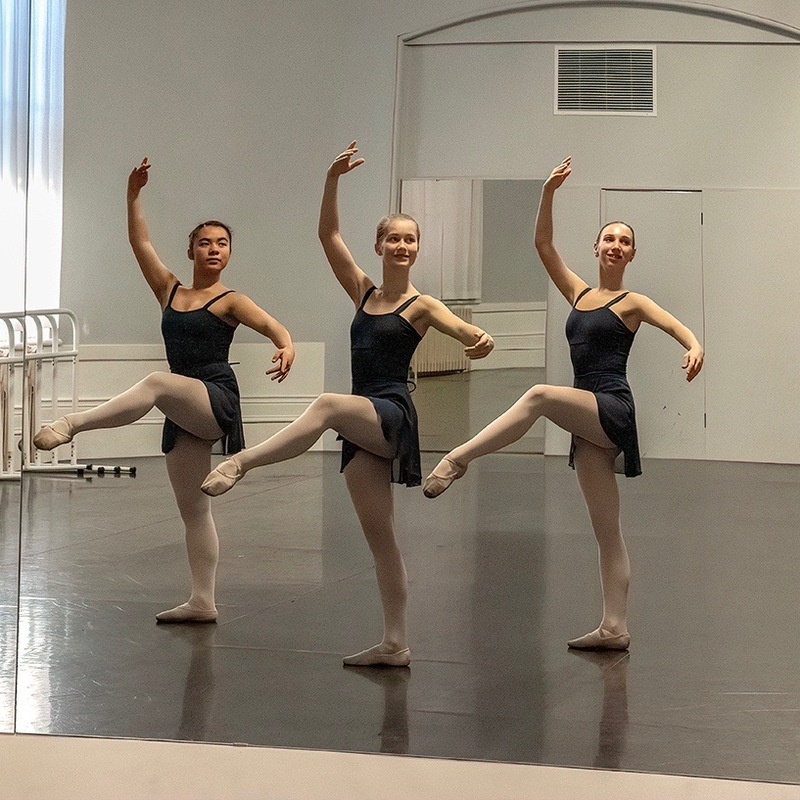 Performance opportunities are an integral part of students’ education at the Ballet Victoria Conservatory. 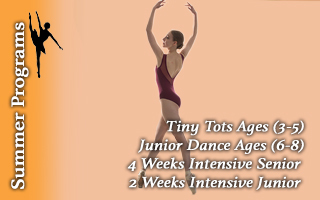 Increase and develop potential as a dancer at a pre-professional level. Minimum of 5 years ballet training required. Ability will be assessed by A. Bayne. 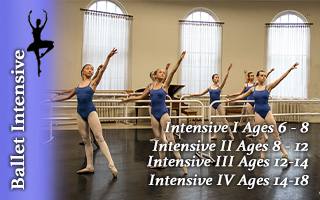 The intensive 4 level is an extension of the all skills learned in intensive levels 1, 2 and 3. Students will refine their technique and artistry in their final level of training. This level will prepare promising students for auditions within the professional dance world upon graduation. This class develops the physical strength and flexibility that is required to execute this beautiful extension of classical ballet. Come and enjoy the energy of Jazz! Must take both Intensive 1 Ballet classes. Ability will be assessed by A. Bayne. Dancers aged 6+ will develop strength, flexibility and co-ordination to complement their dance training. Black jazz shoes, form-fitting clothing (i.e. tank top or leotard with shorts, leggings, or footless tights). Must take all three Intensive 3 ballet classes and 2 pre-pointe classes. This is an extension of all of the skills learned in Intensive levels 1 & 2 Jazz. In this class students will refine their Jazz technique, musicality and artistry that will compliment their ballet training. Students will be challenged both physically and artistically learning intricate choreography to a wide variety of both classical jazz and popular, contemporary music. Dancers aged 8+ will build the strength and flexibility required to prepare for pointe-work. Pre-pointe focuses on the technique and placement required to eventually wear pointe shoes. This class is mandatory for Intensive 2 students.